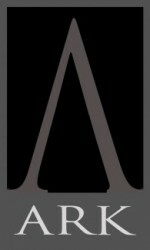 Ptolemy Dean has been the Surveyor of the fabric at the Abbey since 2012. 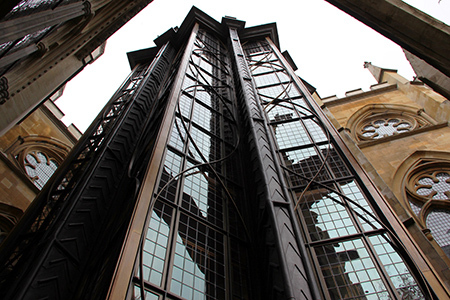 The Weston Tower is the most significant addition to the building since Nicholas Hawksmoor’s west towers were completed in 1745. It has been deftly inserted in a south-eastern corner, between the 13th-century chapter house and the 16th-century Lady Chapel,. 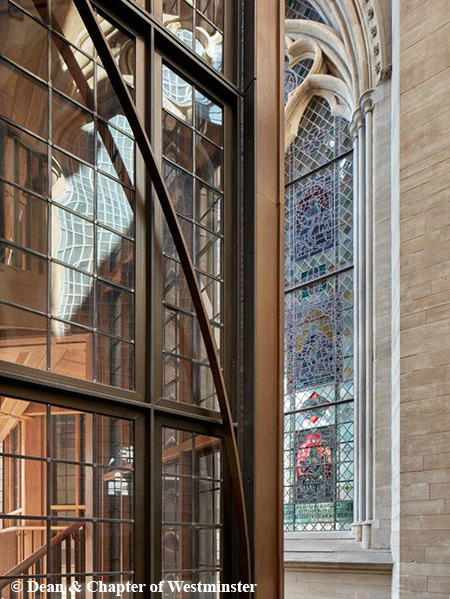 The new tower provides the access to the Queen’ s Diamond Jubilee Galleries set more than 16 metres (52 feet) above the Abbey’s floor in the medieval Triforium, an area that has never been open to the public before. Displaying 300 treasures from the Abbey’s Collection, many for the first time, the new galleries reflect the Abbey’s thousand-year history. 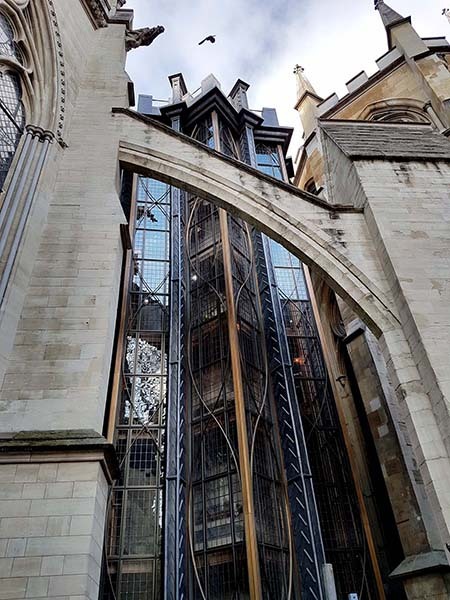 Prior to being awarded the contract for the Weston Tower, Ark Stained Glass & Leaded Lights Ltd had undertaken work to restore all of the existing leaded lights at the 13th Century Queens Jubilee Triforium Galleries. 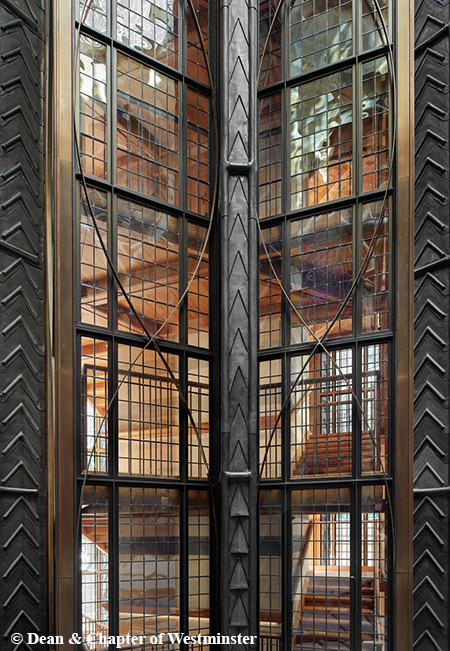 At the Weston Tower, working under guidance from Ptolemy Dean and the Main Contractors, Daedalus Conservation, our work involved the manufacturing of 559 bronze powder coated frames and bespoke leaded lights. The leaded lights required ‘wibbled anti condensation glass’ to ensure that the view from the Tower remained clear. The Galleries give an never before seen views over the Palace of Westminster.. It has been an honour to work on such a momentous project and each member of our team is filled with pride for being a part of it.